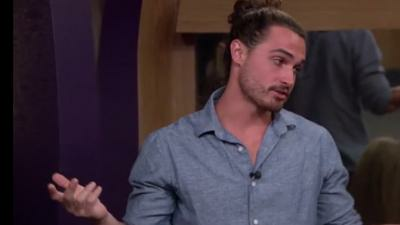 Joker's Updates - BB OTT: Shane's Eviction Interview - Joker's speaks with the latest BB OTT evictee, Shane. Joker’s spoke with Big Brother OTT’s third evictee, Shane, this morning. He was still quite emotional after his dramatic exit from the house this week. When Joker’s asked if he was aware that the other side of the house had agreed to vote him instead of Danielle, he said they were a lot smarter than anyone gave them credit for and yes they’d known. It seems he learned rather late that he was the target: he and his entire alliance were certain Danielle was a goner. When asked if his eviction speech was intended to possibly save her from eviction, he stated emphatically that he “Didn’t want to give Scott credit for taking me out.” Why so vehement that Scott, in particular, not get kudos for his exit? Shane was openly contemptuous of Scott’s reasons for playing Big Brother, claiming he was “there for the wrong reason.” What could a “right reason” entail? For Shane, Big Brother was a means to an end. The prize money was the reason he’d play such a difficult game, undergo weeks if not months of constant, non-stop tension that only ever got worse. He claimed that Scott was there for the sheer joy of playing the game. To find yourself evicted by someone solely bent on being immortalized for making big moves must sting like hell if you firmly believed your own reasons were far more serious, and therefore more valid. 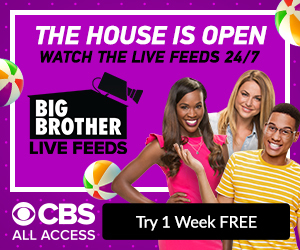 Such an event might even cause a normally-calm person to utterly lose their cool and give a fiery eviction speech, ultimately ensuring their own demise in Big Brother. I believe Shane was sure that having a showmance would further this end on the “everyone loves a lover” principle. This is an obvious fallacy, as members of a showmance are considered “Power Couples,” major threats due to their solid voting block and the surety that they’ll take each other to F2. Ergo, in reality showmances on Big Brother equal enormous targets and often are eliminated early. I saved our most thought provoking question for last. What did Shane think would be the worst outcome if he drank that mysterious blue concoction? He said that he figured it might be diarrhea. When Danielle had urged him to ”go and do it, do it, do it!” he admitted that he hadn’t really been thinking, just acted on impulse only to discover the consistency was “Gooey, jelloe-ie, kind of like soapy.” Gave me the shivers just hearing about it. Never would have made it past my teeth. Shane, your loss is a curse to Eye Candy lovers everywhere.